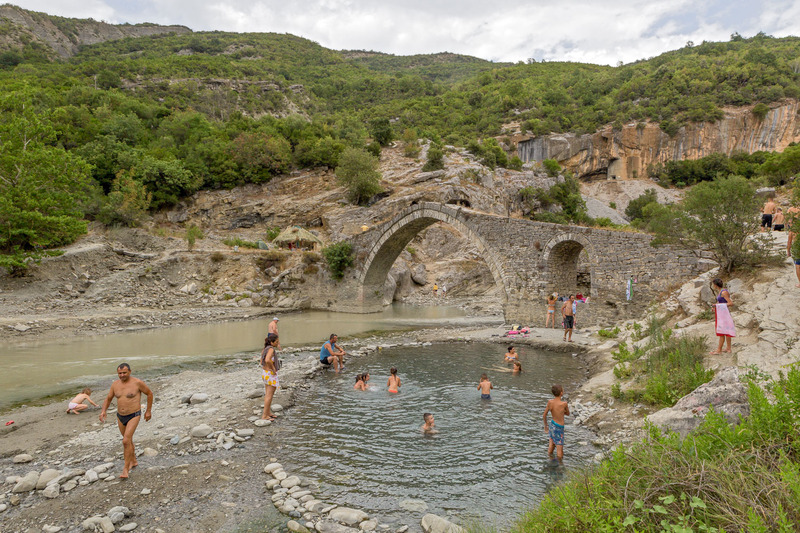 Built in the 18th century, the Katiut Bridge spans the Lengaricë River, a tributary of the Vjosa River. Since the construction of a small hydroelectric plant situated upstream, it is continually low due to water diversions. Residents are concerned that the decrease in water will affect tourist numbers who visit its hot thermal springs.